Sugar and salt make a sensory combination either accidentally or contrived that tends to be, in my book at least, heavenly. The clash of roasted beetroot with cold tangy goats’ cheese; receiving accidentally mixed up popcorn at the movies; or caramelised onions atop a pissaladière punctuated with salt crusted anchovies are all joyous to me. Some of my absolute favourite things are basically two ingredients with an ‘opposites attract’ theme: my grandmother’s toasted cheese with hidden mango (or better still Mrs Ball’s) chutney, pear and Roquefort salad with toasted walnuts, a plate of warm figs and cold, shaved Pecorino…You get the picture. It turns out that our enjoyment of these sorts of combinations is utterly predictable and well documented. 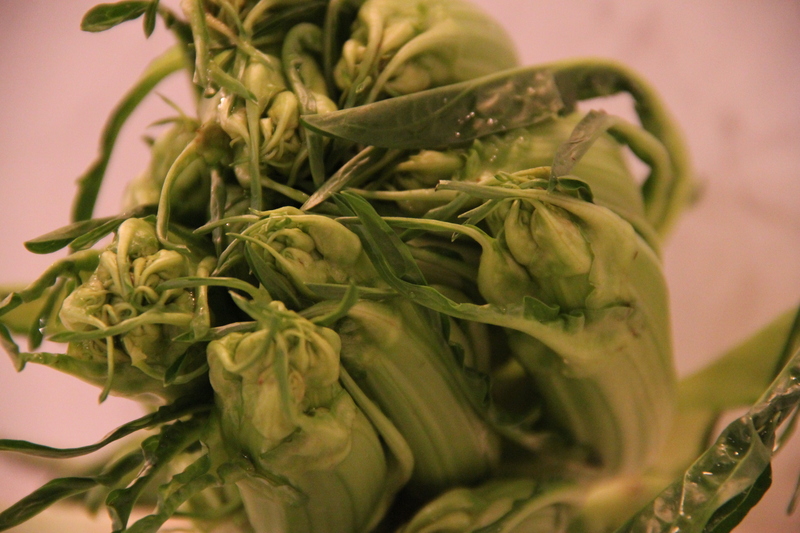 The Japanese (of course) have known about it for centuries, and the use of Dashi stock (derived from sea kelp) has underpinned their cuisine as far back as anyone can remember. It was this Dashi stock that was understood to hold the key to the “deliciousness” of a dish and in 1908 a rather beautiful looking gentleman called Dr. Kikunae Ikeda managed to extract the magic element¹. He called his glutamic acid discovery ‘Umami’, a term that has subsequently been used to described the taste sensation achieved when two ingredients create a delicious marriage, but in fact many single ingredients already contain Dr. Ikeda’s glutamate. 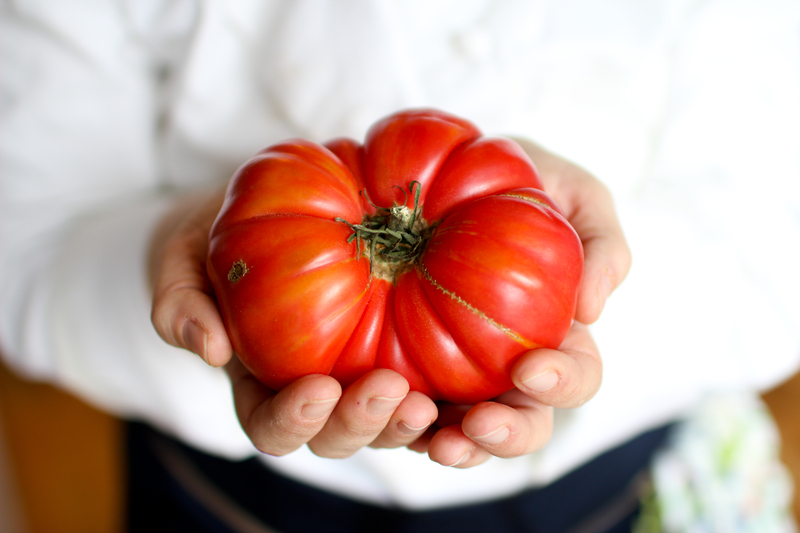 It is present in items such as a beautifully ripe tomato, a steak, Shitake mushrooms as well as single humanly produced ingredients such as Parmesan. In the 1980s it was discovered that actually Umami was present in the previously isolated glutamate, and that it in fact constituted a ‘yum’ factor in and of itself. It is now officially recognised as being our fifth taste sense; the other four being sweet, sour, salt and bitter. We also sense texture, heat, shape and sound², and of course the experience is always enhanced, or at the very least affected in some way, by the environment in which we consume a meal. 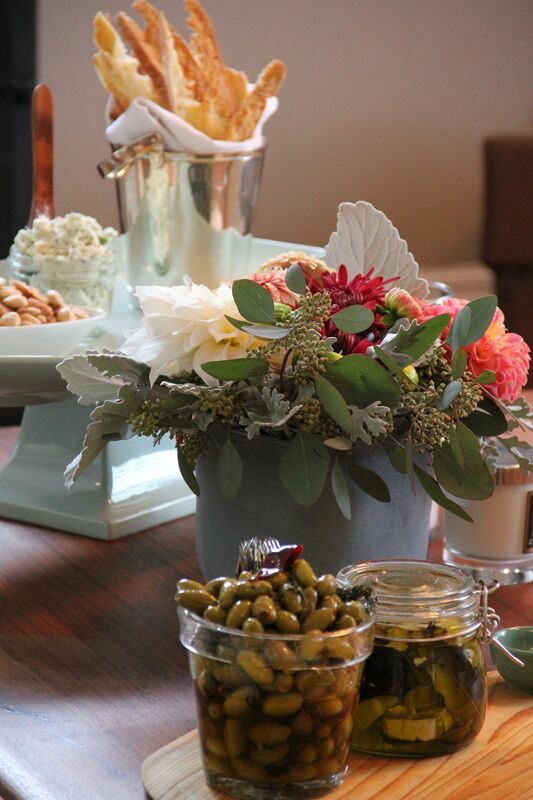 The success or failure of a restaurant is often preordained by décor, as well as service and talent of the chef. The British diet was studied by Dr. Ikeda as one that appeared rich in dishes that contained (either naturally or contrived) elements of Umami. 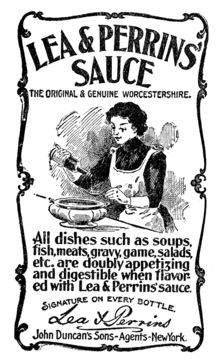 Indeed, we have become famous for many condiments and delicacies that are off the chart on the taste scale; often owing their origins to past Asian colonies and/or enemies. Lime Pickle, Patem Peperium (Gentleman’s Relish), Marmite and Lea and Perrins’ are born of a country well versed in the science of Umami, even if we didn’t know it at the time. Interesting to note; the only thing that outdoes Marmite in actual presence of free glutamate in a single ingredient is Parmesan³…Need I say more about the Italians? Our understanding of the use of Umami and how Umami-rich ingredients can themselves be paired to create even more delicious dishes has not gone unnoticed by the masters of the art. A couple of years ago two of Britain’s best chefs were invited to Japan to show ‘em how it’s done. When confronted with the idea, they did what any self-respecting Brit would do, and rolled out the condiments; Sat Bains served Sautéed Pork and Marmite while Claude Bosi went all war-time-comfort-food on us and served up toasted cheese with Lea and Perrins’. I can’t help it. I felt proud. The success of a pairing of sweet and savoury ingredients can sometimes be utterly unexpected; Janice Wong at 2am:dessertbar in Singapore makes a ‘table’ of crisp dark chocolate filled with a vinegar liquid centre that is divine. Chocolate being used as a savoury ingredient is hardly new, yet the idea of chocolate and salt is pretty disgusting to me. However, never quick to judge, I await further exploration and discussion here; there genuinely are a couple of very interesting people doing interesting things with Fleur de Sel and milk chocolate (I know). 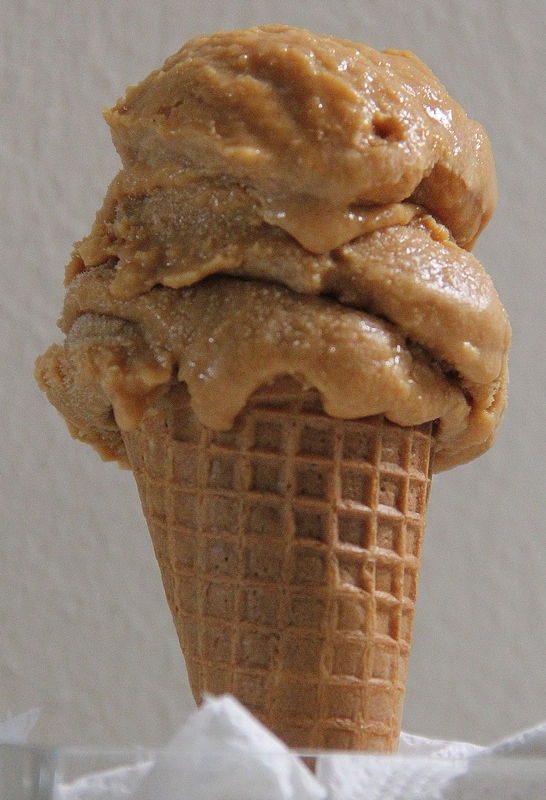 Salted caramel has become all the rage. A little shop in Londons’ Portobello Road makes chocolate covered gooey salted caramel bars that are to die for…even when they have flown half way round the world and have to be kept in my freezer in a constant losing battle between dairy products and heat. The shop is called Melt, I suppose there is more than a little irony intended. Z bought me a little ice cream machine because she was so in love with a recipe she had discovered for a salted caramel frozen custard, that she felt it imperative to my general wellbeing to recreate it on the other side of the world. She was right. The only problem was that the ice cream machine couldn’t cope with the heat (even after two hours of churning it was far from frozen). The high sugar content of the caramel paired with 32° heat (inside with the aircon on!) meant that even after a night in the freezer it was completely melted within five minutes of sitting on the counter. No matter – it got eaten without complaint, and in record time for ice cream in our family – as a perfect chilly sauce with a hot brownie. Infuriated that I was unable to replicate what was obviously a fabulous recipe when made in London or Paris (chef’s origin of course), I set about achieving perfection in Singapore. I am not saying that my tweaks to Lebovitz’ recipe are necessarily an improvement, but at least I can now officially hold my head high and create a pretty grown-up ice cream in the tropics. Thanks Z. A tropics-friendly adaptation of David Lebovitz’ stunning version. Salt, sugar, alcohol and fat are all inhibitors to the freezing process and so I played with the ratios just a little. I certainly didn’t want a rock solid ice cream, but I felt that Lebovitz’s (for our climate) was just a little too sweet and a little too soft. Before you do anything, make sure you have the right kit and that everything is ready. You will need an ice cream machine. One with a bowl that you keep in the freezer (as opposed to a professional, always-ready, freon charged version) is fine. You will need an oven tray lined with a silicone mat or parchment paper greased with canola or corn oil ready to receive the molten sugar. Make sure that any little people you may have at home are out for an hour or so – playing with boiling sugar is not difficult, but it does require undivided attention. You will also need; two bowls that rest inside each other (the inner one metal), a further third bowl, a metal sieve, a metal whisk, a silicone or other heat proof spoon, a very large, deep, heavy bottomed saucepan and a sturdy, freezer-proof airtight container for the ice cream to live in. 1.To make the ice cream; make an ice bath by filling a large bowl about a third full with ice cubes and add water so they’re floating. Nest a smaller, inner, metal bowl (but still at least a litre or so deep) sitting in the watery ice, being careful not to let the lower bowl overflow! Pour 1 cup (250 ml) of the milk into the inner bowl, and rest the metal sieve on top of it. Measure out your butter, cream, vanilla, salt and other 1 ½ cups of your milk in easily accessible receptacles. Whisk egg yolks in another separate, large-ish, bowl nearby. 2. Spread 1 cup of caster sugar into a deep, heavy bottomed saucepan in an even layer. Cook over moderate heat, until caramelized, gently stirring with a heatproof spoon (silicone is perfect) as it starts to liquefy. 3. Once caramelized, remove from heat and stir in the butter and salt, until butter is melted, then gradually whisk in the cream, stirring as you go. 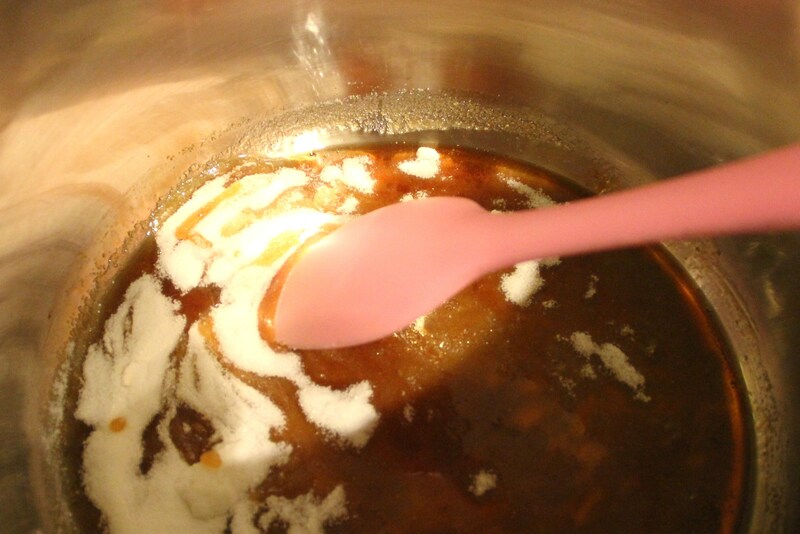 The caramel may harden or even seize up a bit, don’t panic, but return it to the heat and continue to stir over low heat until any hard caramel is melted again. Stir in the rest of the milk. 4. Very slowly pour about a third of the caramel mixture over the whisked egg yolks, stirring or whisking as you go. Then slowly scrape the warmed yolks into the saucepan of caramel (still constantly stirring or whisking) and cook the custard gently until the mixture thickens. Make sure you continue stirring and scraping the bottom of the saucepan so do you don’t end up with caramel scrambled eggs. The custard won’t thicken very much, but if using an instant-read thermometer, you should keep cooking until it reads about 160-170 F (71-77 C). 5. Pour the custard through the strainer into the milk set over the ice bath, add the vanilla, then stir frequently until the mixture is cooled down. Put the mixture in the fridge for about 8 hours, or overnight to ensure it is completely chilled before churning. 6. While your custard is chilling, make the praline. Get your silicone mat onto the oven tray and place nearby. 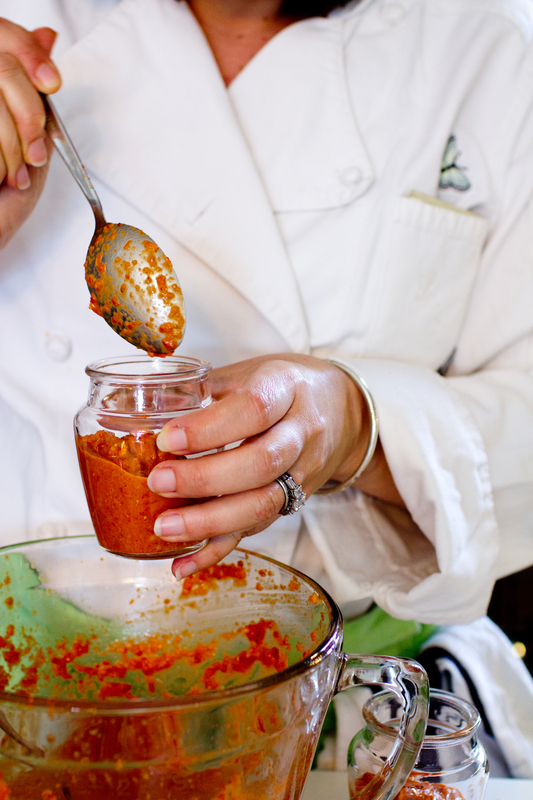 Measure out your ¾ tsp of sea salt and have it close to hand too. 7. Use your large, deep, heavy bottomed saucepan again. Over a low to medium heat, melt the sugar in the pan until the edges begin to melt. Using a heatproof spoon (silicone is perfect) gently stir until all the sugar is melted and going golden. 8. Stir every now and then as the caramel goes darker and just begins to smoke or take on a smell as though it is about to burn. This can take only a few moments so don’t take your eyes off it. 9. Lebovitz tells us at this point to sprinkle on the ¾ tsp of salt – without even pausing to “scratch your nose”, and immediately pour it onto the waiting silicone mat or baking sheet/oven tray. He is right. Don’t even scratch your nose. 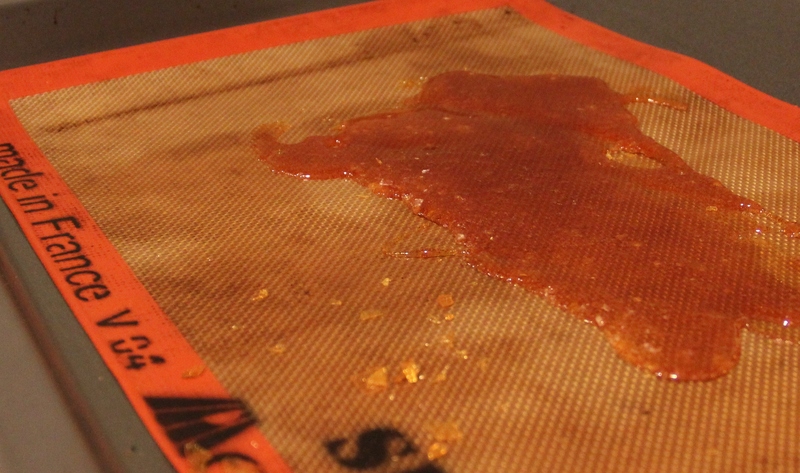 Lift and tilt the sheet and allow the caramel to spread in as thin a layer as possible and set it aside to harden and cool. If you live in a hot and humid climate; place the tray on a heatproof mat and under the air conditioner or it will become sweaty and soften just about as quickly as it cools and hardens! 10. Freeze the mixture in your ice cream maker according to the manufacturer’s instructions. 11. 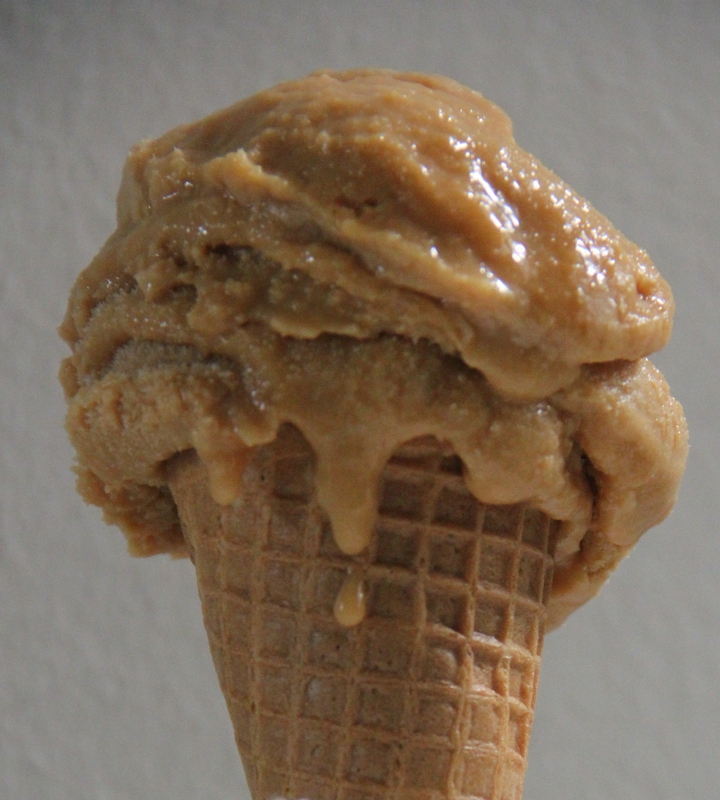 While the ice cream is churning, crumble the hardened caramel praline into very little bits, about the size of very large confetti (about ½-inch, or 1 cm). 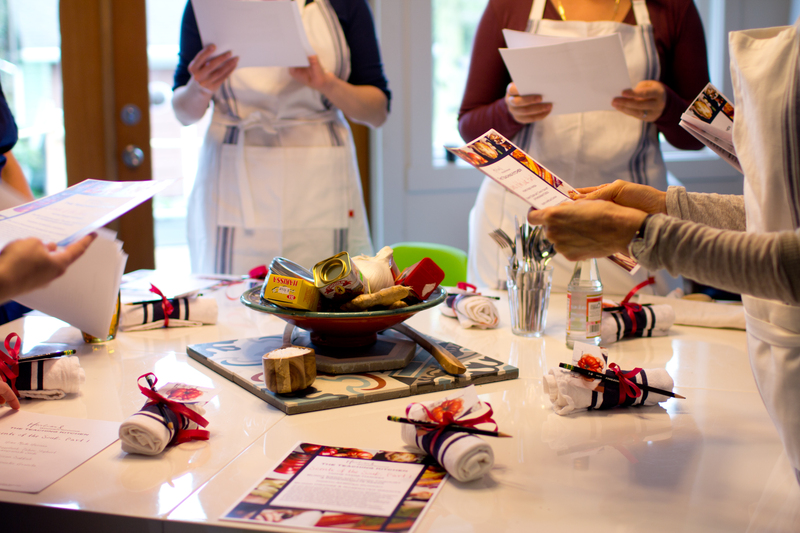 You can use a pestle and mortar or brute force and the end of a rolling pin in a deep bowl. 12. 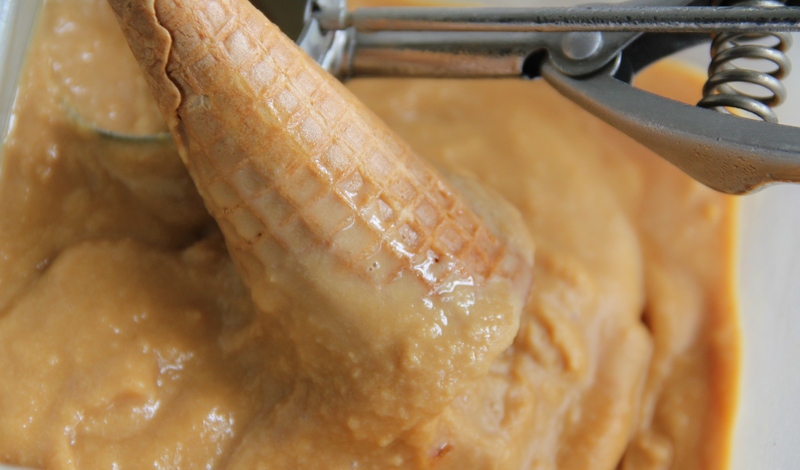 Once your caramel ice cream is churned and thick, quickly stir in the crushed caramel, then chill in the freezer until firm. It is best to leave it overnight if you can bear to wait. The ice cream will never be rock solid, and easy to scoop straight from the freezer, with little liquid pockets of melted salted caramel throughout. Heaven. Taking its name from Japanese, Umami is a pleasant savoury taste imparted by glutamate, a type of amino acid, and ribonucleotides, including inosinate and guanylate, which occur naturally in many foods including meat, fish, vegetables and dairy products. 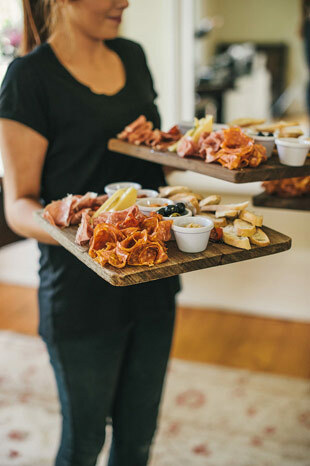 As the taste of Umami itself is subtle and blends well with other tastes to expand and round out flavors, most people don’t recognize Umami when they encounter it, but it plays an important role making food taste delicious. Source: Umami Info. A table of our tastes can be found here. Parmesan cheese is one of the most umami-rich foods in the world, with 1680mg of free glutamate per 100g. For Cheddar cheese (matured for four months) the score was 78mg/100g, for Lea & Perrins 34mg/100g, whilst Marmite － a highly condensed condiment － recorded 1960mg for every 100g. Source: science of Umami. Have trawled Upper Thomson and cannot find said ice cream parlour – name and address for all PLEASE!!! I’m glad that I’ve found this heirloomsandwoodenspoons.wordpress.com web site. I have to say that it’s a unique blog! I admire how comprehensive each of the entries are. They are well balanced – fun and cognitive – and the pictures are nice too. Well, it has taken me a while to get here but I have arrived. Love the article, and the credit, for which I thank you. Meanwhile, for those geeky enough to read Cook’s Illustrated, not the late lamented Food Illustrated, will have read about a newish small ice cream maker only available in the U.S. I have emailed Lakeland to ask them if they would consider stocking them. They are going to check it out. how lucky that i have 2 small packs of fleur de sel about to make it into my suitcase to be taken back to the tropics… yum! oh yes and a dirty great big ice cream maker there already.